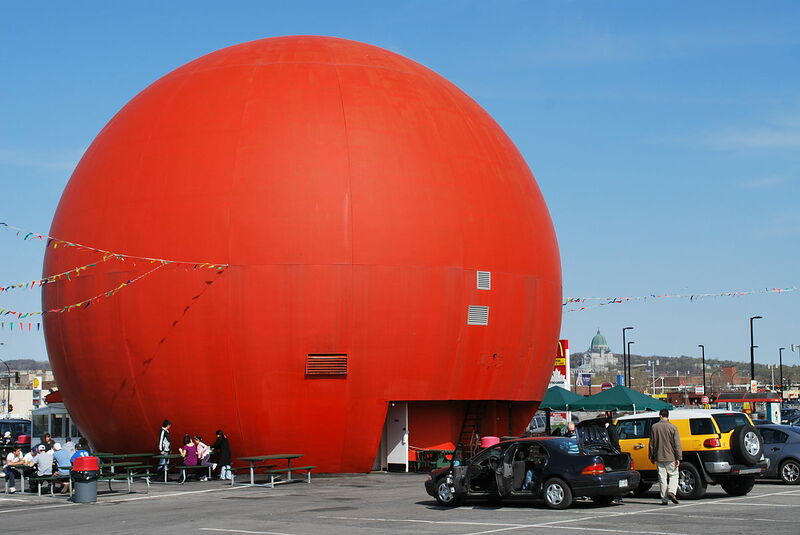 This big orange has been a drive-up fast food outlet since 1942 and is currently operated under the name of "Orange Julep". Orange Julep is a traditional orange drink invented in Montreal more than 60 years ago. Food is brought by girls on roller blades to people's cars. It is over 40 feet in diameter!